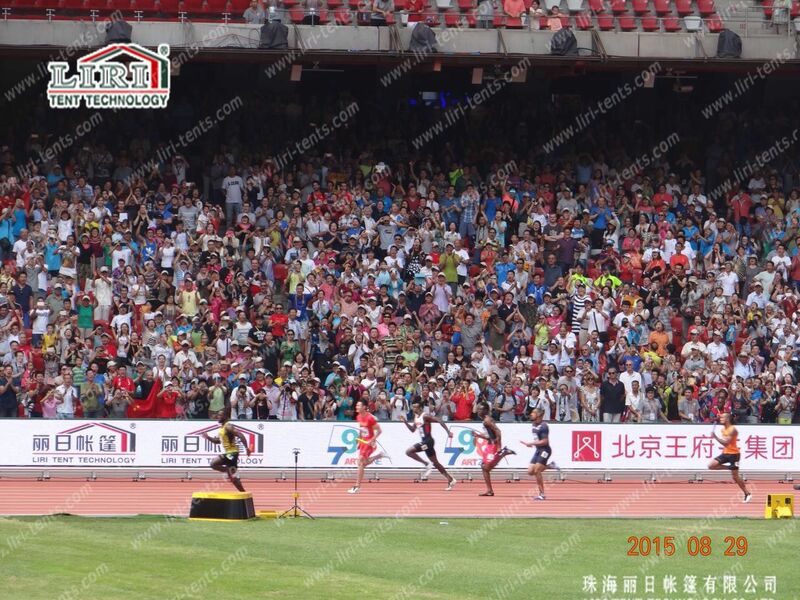 The Sprinter war of IAAF World Championships in Athletics was began on August 23 of China time. Usain Bolt,Jamaican,9.79 seconds results beat Gatlin and Gay won the championship. In the final,he was got rid of the Gatlins entanglement until last 10m,just only 0.01 seconds advantage to defend his World Championships,Bolt won in 9.79 seconds while Gatlin finished second,9.80 seconds. In addition,the second track of Chinese players,Su Bingtian got 10.06 seconds results. 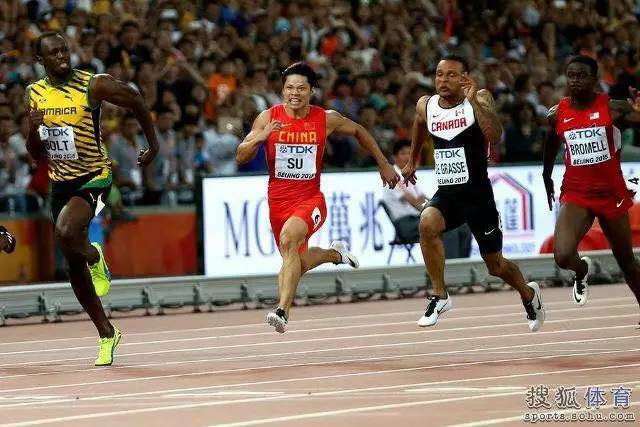 In this world championships,he created a hundred-metre 9.99 seconds of good grades,and became the first World Championships mens 100m final in the history of China. After winning,the worlds fastest man Bolt was impromptu dance in the bird nest,and made the iconic Lightning shape. And almost 200 medias,hundreds of reporters around Bolt after the game,which the scene is very spectacular,and then Bolt took a photo with LIRIs logo,forming a beautiful landscape. Liri Tent offers a variety of sporting events tent at the World Athletic Championships and cheer for the world championships!